As a puzzle lover, my favourite part of our wedding prep was putting together the seating plan. We had two big long tables and three smaller tables - and trying to decide who should sit next to who was like a giant game of human sudoku. We paired two winemakers, lined up some vegans and generally just clumped like-minded souls together. On top of that, we had the ultimate ice-breaker to help people strike up conversation with their neighbours - a bride/groom themed crossword. I’m a professional crossword writer by trade, and I’ve made puzzles for many birthdays, anniversaries and hen’s nights, but I’ve never had the opportunity to do an actual wedding puzzle. I was really keen to observe how the crossword would be received, and whether this might become a template for future jobs. 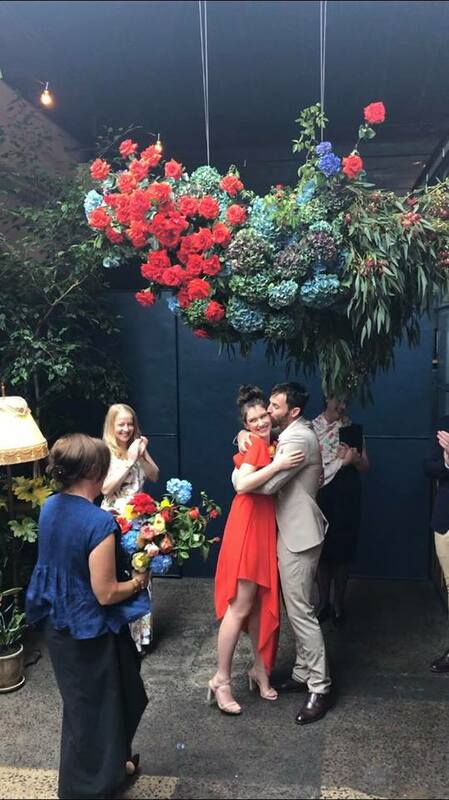 The first bright idea I had was to make all the across answers about the bride (Helen) and all the down answers about the groom (me, Liam). It divided the crossword very much like a traditional ceremony seating plan, with an “aisle” down the middle of the clues which proved to be a nice aesthetic. I was able to phrase the clues in such a way that all the clues began with either Helen or Liam. 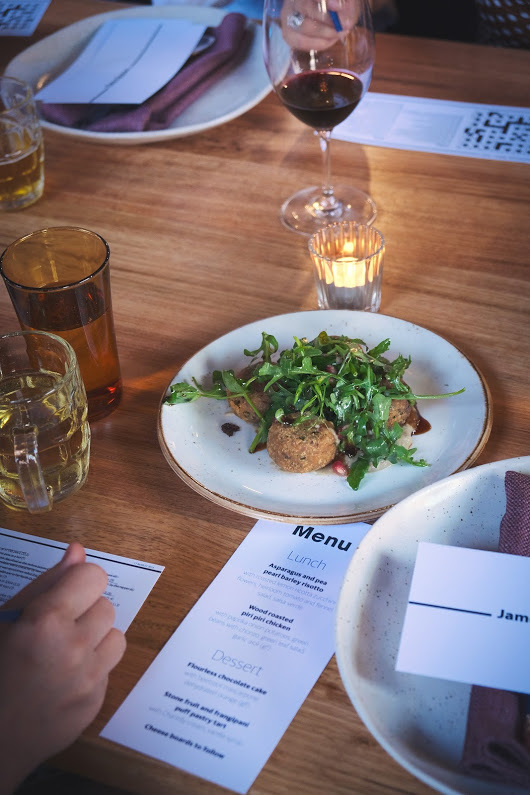 Once guests sat down, it didn’t take them long to realise there was a secret puzzle on the back of their place cards, and everyone was quickly immersed in the crossword, with lots of neighbourly collaboration/competitiveness. There were a handful of tricky clues based on obscure facts about the bride or groom, but I made sure that each clue had at least one guest present who knew the answer. As the contest heated up, I was wandering around the tables offering help to the more befuddled guests. The great thing was that Helen’s people were learning facts about me, and my people were learning facts about Helen - all by talking to new people and making new friends. It was a really fun part of the day and I would highly recommend a wedding puzzle to anyone having an upcoming wedding. It’s a wonderful ice-breaker and souvenir for guests and married couple alike. Our guests weren’t particularly nerdy, but everyone got into the spirit. It would be difficult for a professional crossword compiler to create such an intimate puzzle if you were working for clients you barely knew. It was relatively easy to write this puzzle for our wedding because I could put a word in the grid like RABBITS and then lean over and ask Helen “Tell me a fact about you that relates to rabbits”. Of course, if I was creating for strangers I wouldn’t have that luxury. The way I would approach such a crossword if I didn’t know the subjects at all would be to get them to give me a list of about 50-100 words about them - their jobs, their family, pets, places they’ve traveled and hobbies etc. Then I would build the scaffolding of the puzzle. Lastly I would book an in-person appointment with them to go over the puzzle in person and fill in all the remaining slots. “Tell me a fact about you that relates to rabbits” I would ask the bride, and she would hopefully have some whiz bang family anecdote about the time her great aunt cooked rabbit stew for Christmas dinner. 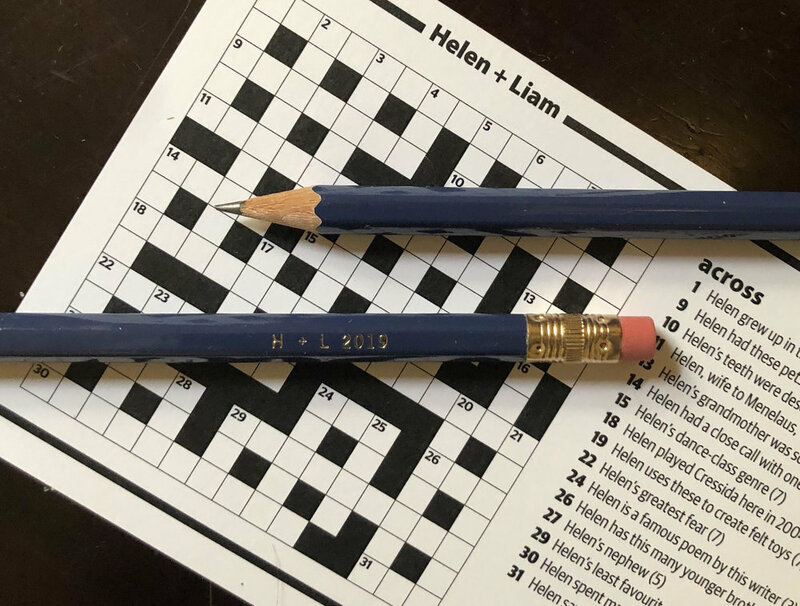 If you’re interested in a crossword for your wedding or other special life event, check out my other custom crosswords and get in touch.